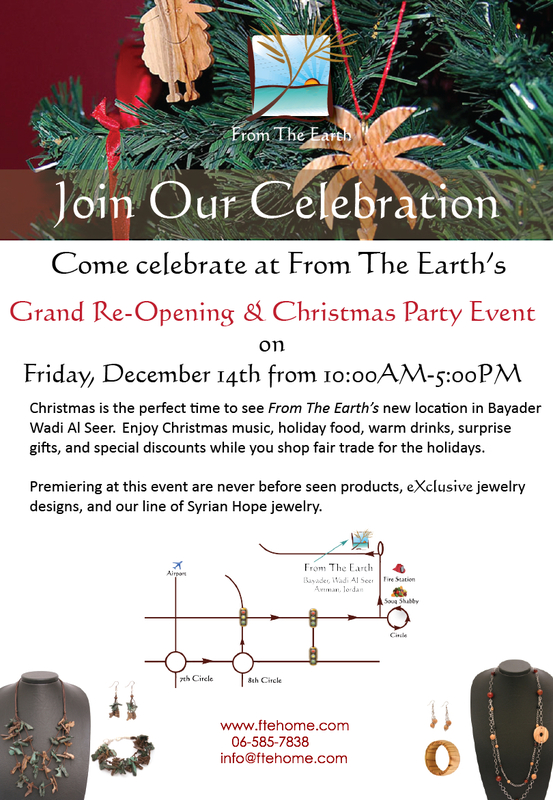 From The Earth is happy to announce our annual Christmas Party Sale Event. This year we are excited to also be celebrating our Grand Re-Opening. This event will have surprise gifts, new products, new jewelry collections and sales perfect for your holiday shopping. Additionally, there will be music, food, and beverages. So please come and celebrate with us! 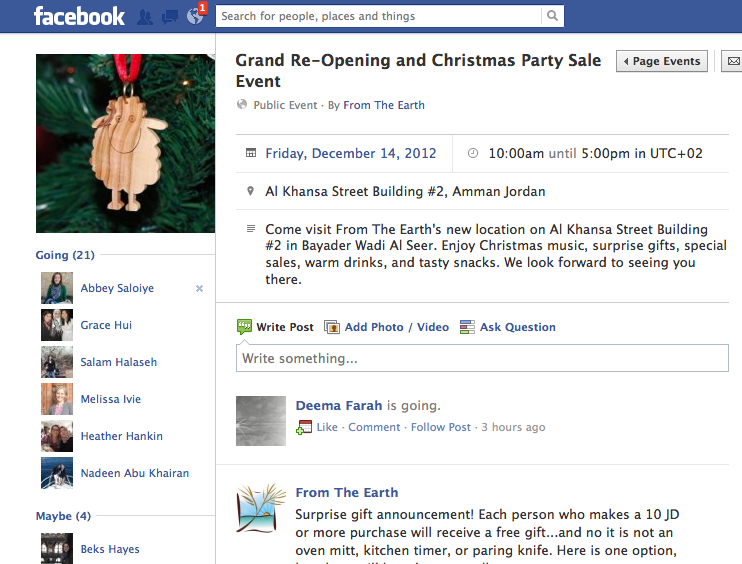 To hear the latest developments about the party, including items on sales and photos of new products, join our Facebook event. Make sure that when you come, you come to our new location (see map below). Grand Re-opening & Christmas Party Fun!